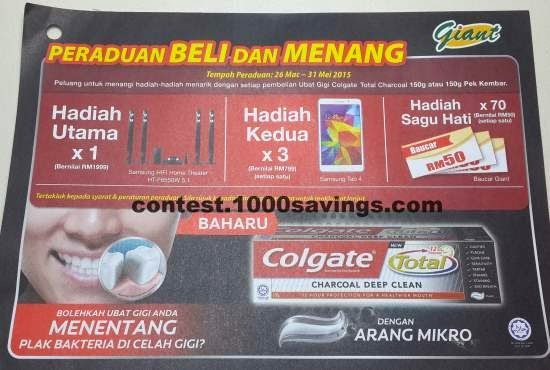 Purchase either a Colgate Total Charcoal Deep Clean 150g or 150g twin pack at any GIANT outlet. Answer 1 simple question correctly. Complete the entry form and attach your receipt proof of purchase of the Colgate Total Charcoal Deep Clean 150g or 150g twin pack.